Why choose the CR 15-X? When you go digital, you want a solution that does things your way. A solution that is versatile and flexible That offers high image quality, and designed to remain lightweight and affordable. One that is compact and fast, and supports a complete range of applications. But that allows you to define your own workflow and adapt it whenever you want, quickly and easily. That’s the CR 15-X. Making your existing solutions work harder for you is a driving force in today’s economically challenging environment. 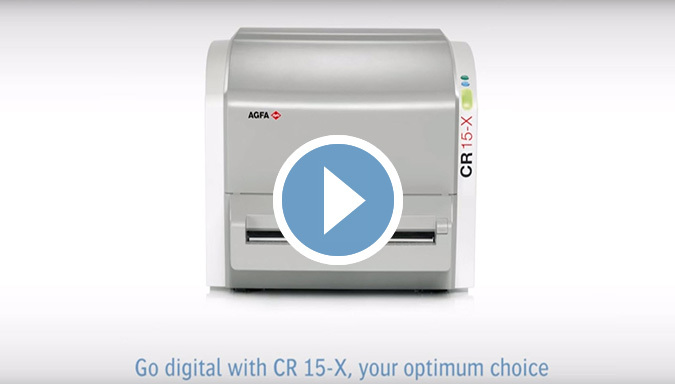 With the CR 15-X’s versatility and integration delivering increased workflow, you maximize your return on investment. 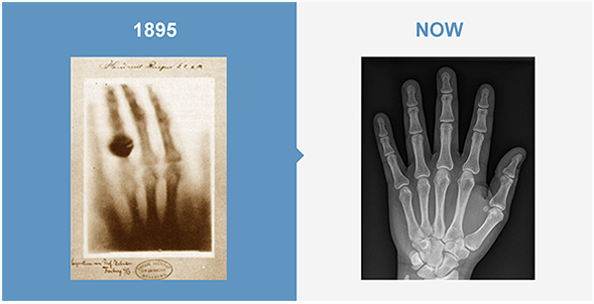 The simple yet smart new design concept of the CR 15-X creates an affordable entry to the digital radiography environment. By addressing your need for both workflow efficiency and resolution, it is the ideal choice for the cost-conscious organization. 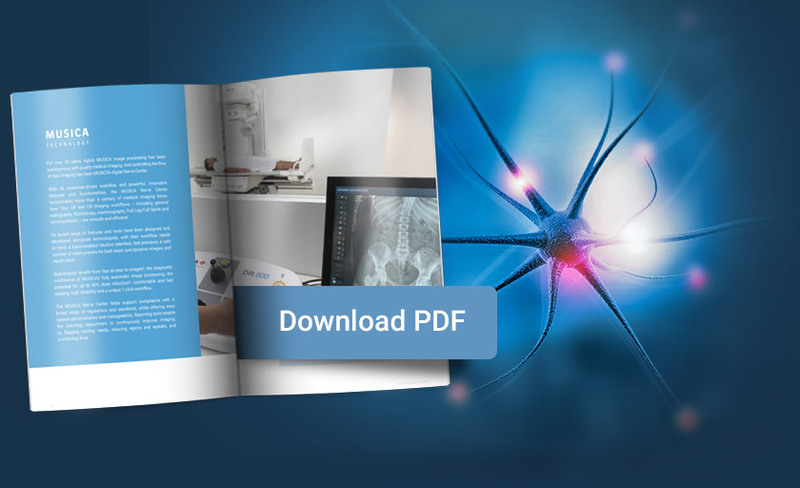 By supporting both standard phosphor plates and needle-based detectors, CR 15-X unites complete convenience with top image quality, while leveraging the radiography department’s existing investments. 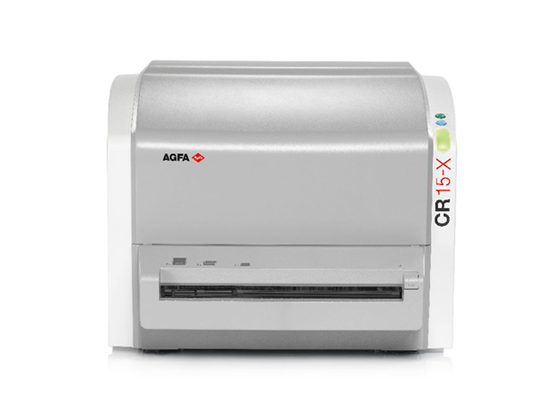 With standard phosphor plates, CR 15-X delivers excellent image quality. 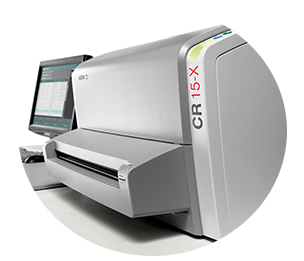 When used with cesium needle-based detectors, however, the CR 15-X provides superb image quality and offers substantial dose reduction of up to 60%.